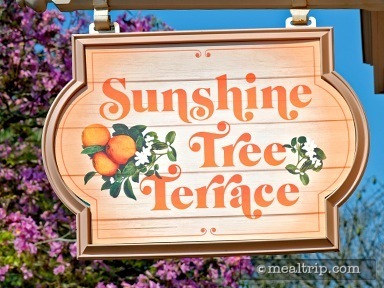 The Sunshine Tree Terrace has recently moved! 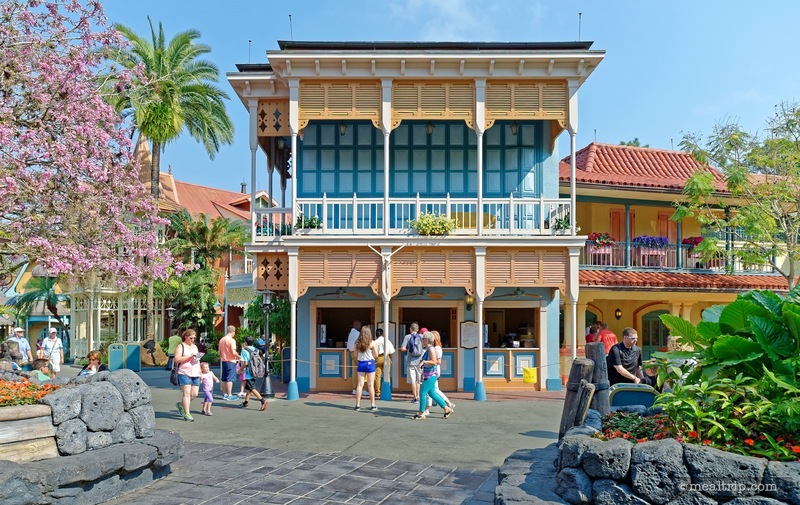 It is now located where Aloha Isle Refreshments used to be, just past the walkway leading from the main hub area into Adventureland and near the entrance to the Swiss Family Treehouse. Long known for it's mascot, the Orange Bird, a popular Citrus Swirl and various lemonade and juice beverages remain on the menu. This general area will be going into refurbishment mode over the next several months. Hopefully, this location will not be affected too much, but we suspect it may have to close for a few months, if construction gets too close to the location. The Sunshine Tree Terrace building is a cute little Boca-style, faux two-story across the street from the Swiss Family Treehouse located just as you enter Adventureland. Yes, there are a couple of Slushy beverages on the menu but the real star here is the Orange Bird's very own "Citrus Swirl". The twirling combination of an orange soft-serve frozen juice together with vanilla soft-serve ice cream is simple, but oh so addictive. 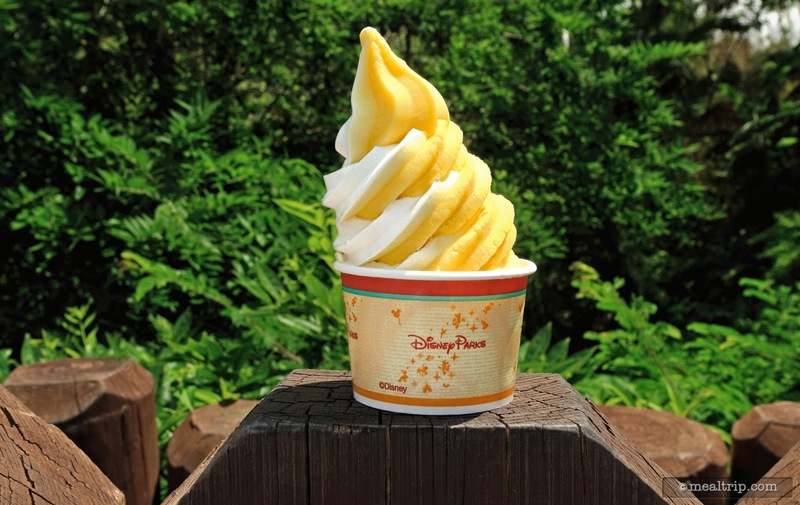 When the Citrus Swirl machines are working at their best, this guest favorite stays frozen and formed for a good two or three minutes before the Florida sun starts rounding the edges off. There are a few stone-wall type of seats across from the Sunshine Tree Terrace building and a few "standing room only" shaded spots here and there depending on what time of day it is. You might want to have a general idea about where you're going with this little frozen cup of yumminess before you get in line though… we wouldn't recommend going too far with this one before digging in. It has about a five minute half-life before you're dealing with melted, over-the-cup, sticky spillover. At only $3.79 (June, 2016)… it's truly a "don't miss" snack item when visiting the Magic Kingdom. 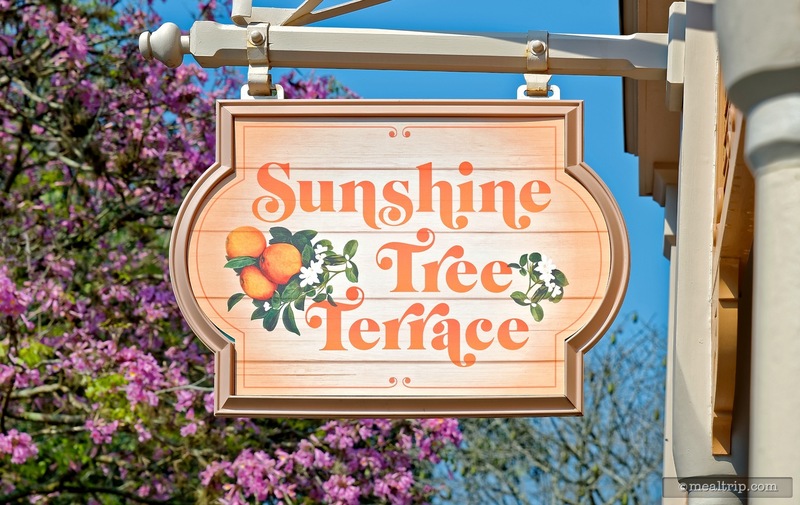 If you haven't been to the Sunshine Tree Terrace in a few years, this location did, in fact… used to serve Pineapple Dole Whips and Pineapple Floats. 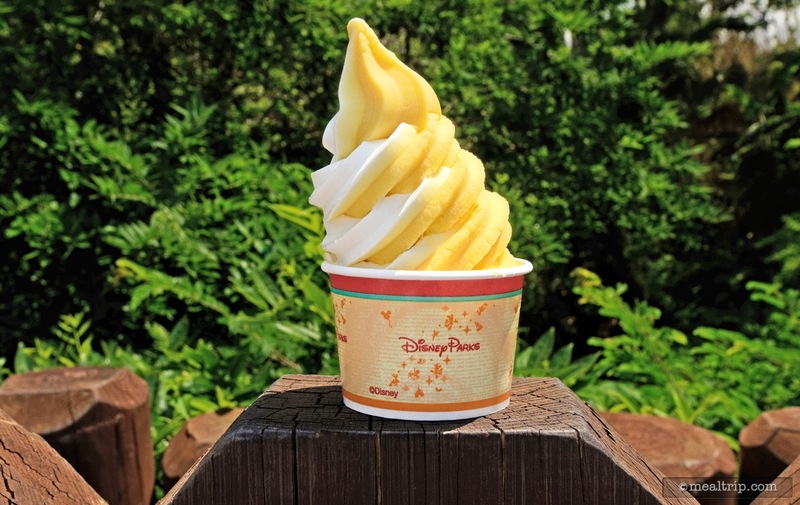 If you're looking for those, fear not… the Dole Pineapple treats have moved down to the "Aloha Isle" kiosk, closer to the Enchanted Tiki Room attraction… so basically, the frozen desserts flip-flopped their location. We have it on good authority that it's because the Orange Bird wanted a bit more quiet time, away from the noisy Tiki Birds.